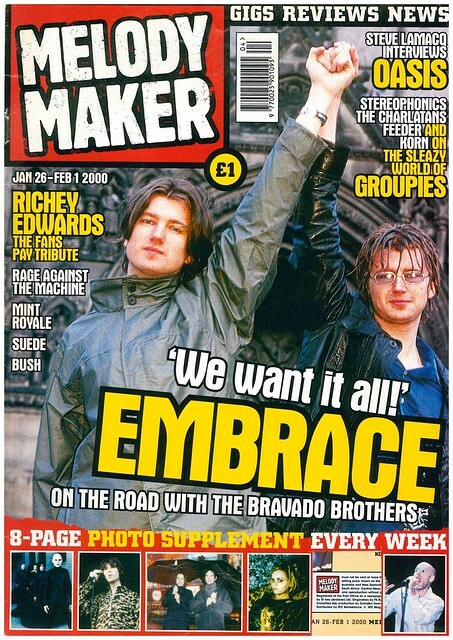 Danny and Richard McNamara of Embrace are the cover stars of Melody Maker, as the band gets ready to release their second album. 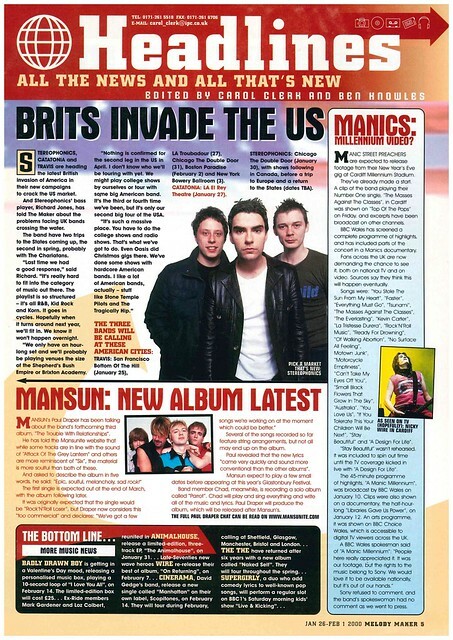 In news, Stereophonics, Travis and Catatonia are all going on US tours, while Mansun have spoken to a fansite about the forthcoming relase of their third album, later this year. 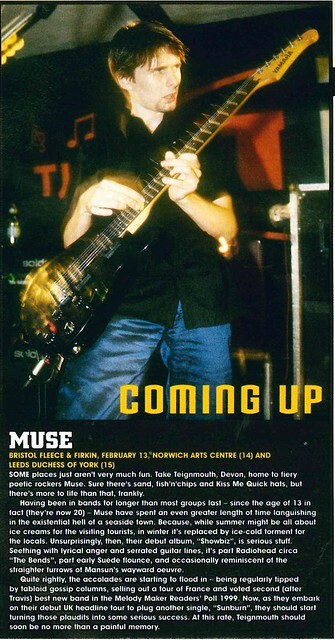 Matt Bellamy of Muse is the subject of a Q and A, as the band gets ready to relase a new single. Andreas Johnson is tipped for big things after having a big hit with Glorious. 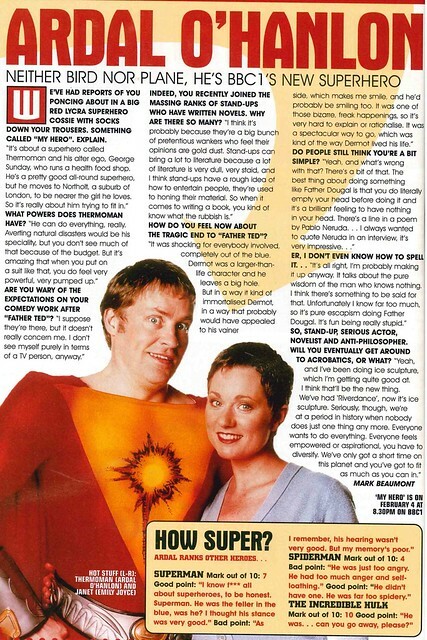 Ardal O’Hanlon gets interviewed ahead of his new sitcom My Hero, revealing that The Incredible Hulk is his favourite superhero. 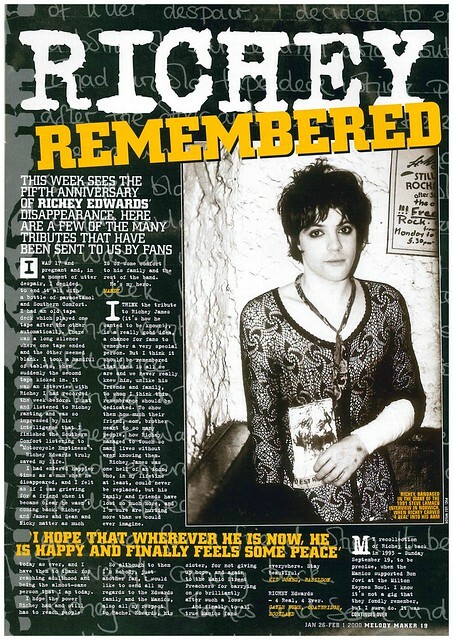 There are three pages dedicated to Richey Edwards ahead of the 5th anniversary of his disappearance. 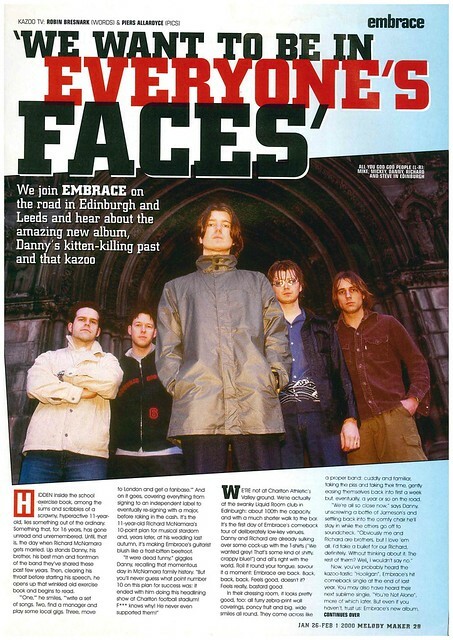 There are also three pages dedicated to Embrace, as Melody Maker joins them on tour in Edinburgh and Leeds. 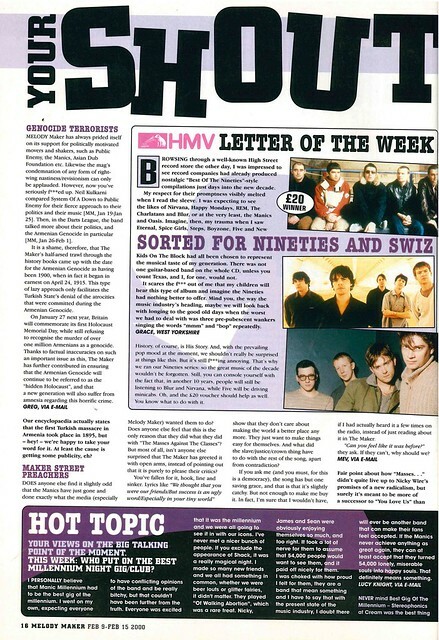 Bush, The Wannadies and JJ72 are the subject of live reviews. 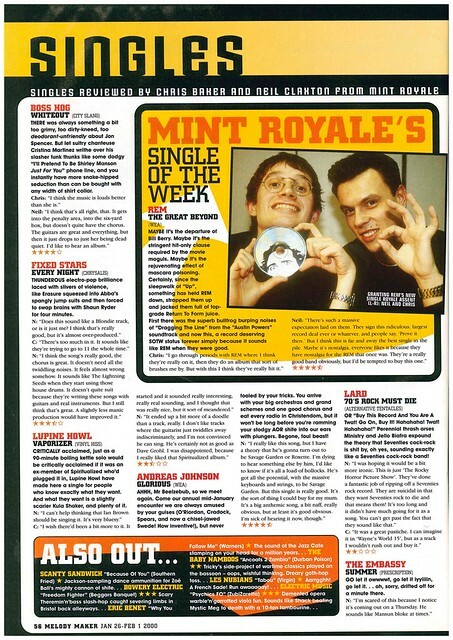 Elsewhere in reviews, Mint Royale give their Single Of The Week award to REM. 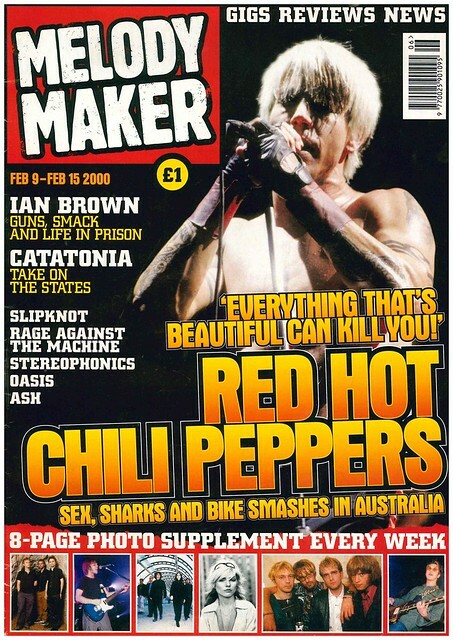 Anthony Kiedis is the cover star as Red Hot Chili Peppers are in Australia. Kelly Jones talks to Melody Maker about the band’s next album, saying it will be a step forward for the band, while Embrace have confirmed their new album will be released at the end of March. Cover stars RHCP get four pages as they headline the Big Day Out Festival in Australia. 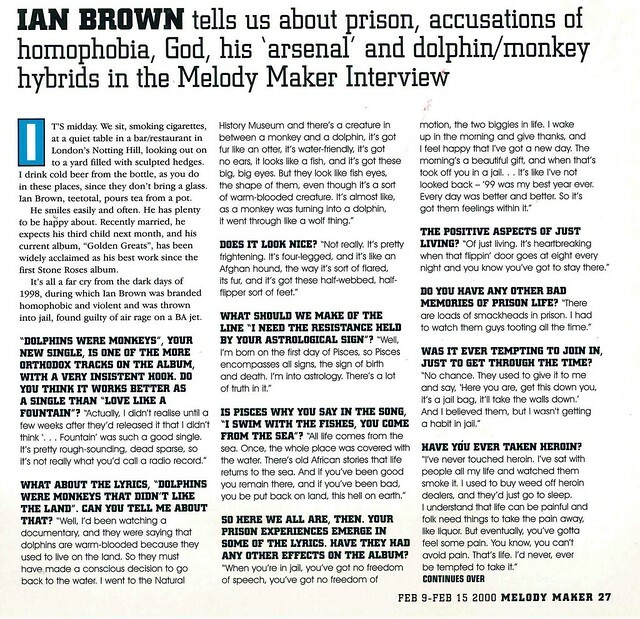 Ian Brown gets three pages as he reflects on his time recently spent in prison. 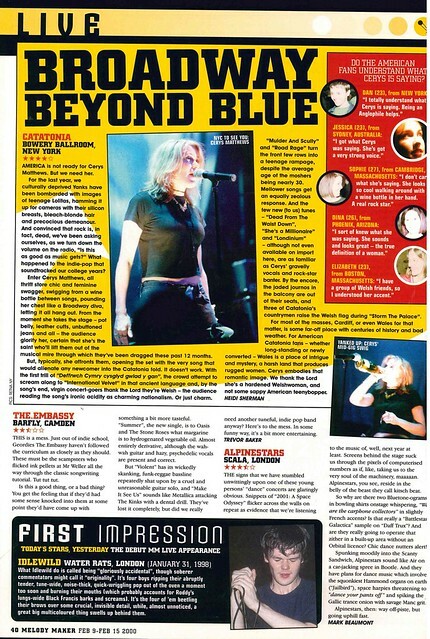 In reviews, Melody Maker went to see Ash, Rage Against The Machine and Catatonia in concert. Elsewhere, the soundtrack to Leonardo Di Caprio’s new movie The Beach, gets 2 and a half stars out of 5. This week’s first video is for birthday boy Neville Staple, formerly of The Specials and Fun Boy Three. There’s lots of fun in this video. Fun Boy Three, and the presenter of Fun House. And Bananarama. And sadly, this week would have seen Stewart Adamson’s 56th birthday. This clip, also introduced by Pat Sharp came from a shortened episode due to live coverage of the 1983 FA Cup Final Replay, which conveniently is used to link into the video (There was no video, so BBC just did a goals montage, of what Pete Powell described as “Ace goals”) for “Glory Glory Man United” by Liverpool FC Squad. Of course not, just seeing if you were paying attention. Would you like some tenuous links between Stewart Adamson and Manchester United? Stewart Adamson, was actually born in Manchester, and Sir Alex Ferguson (a former player of Adamson’s favourite team, Dunfermline Athletic) attended his funeral. How was “Mulder and Scully” by Catatonia not Number One? The truth is out there. Blowing out birthday candles this week is Will Sergeant from Echo and the Bunnymen. 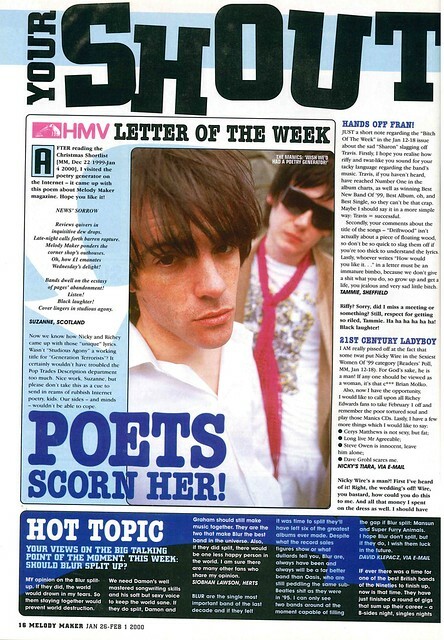 I remember when “Nothing Lasts Forever” came out, I thought they were a new band (in my defence, I was 14) ……. 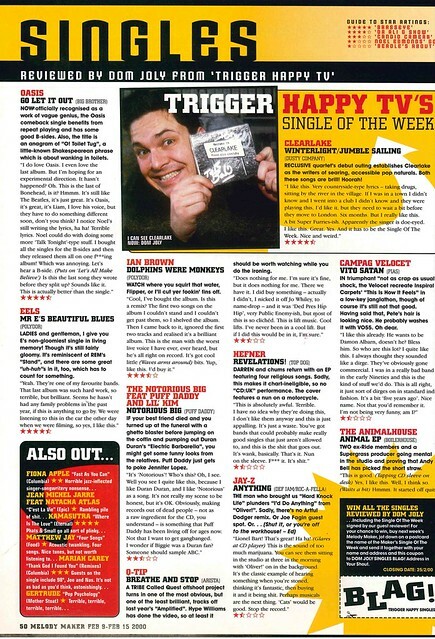 …… and didn’t know they had a back catalogue including this. And now, 90s men, time to relive all those dreams you had of Sarah Cracknell. Brace yourselves, this, is just ….. wow. Ritchie Blackmore was 69 this week. Yet, when you try to find Rainbow Top Of The Pops appearance on Youtube, this comes up. So many questions, the most pressing of which is, where’s Bungle? Sad anniversary now – Joey Ramone died 13 years ago this week. And finally, a Royal Birthday of sorts, as Princess Posh of Beckingham Palace hits the big 40 this week.